I am Fr. 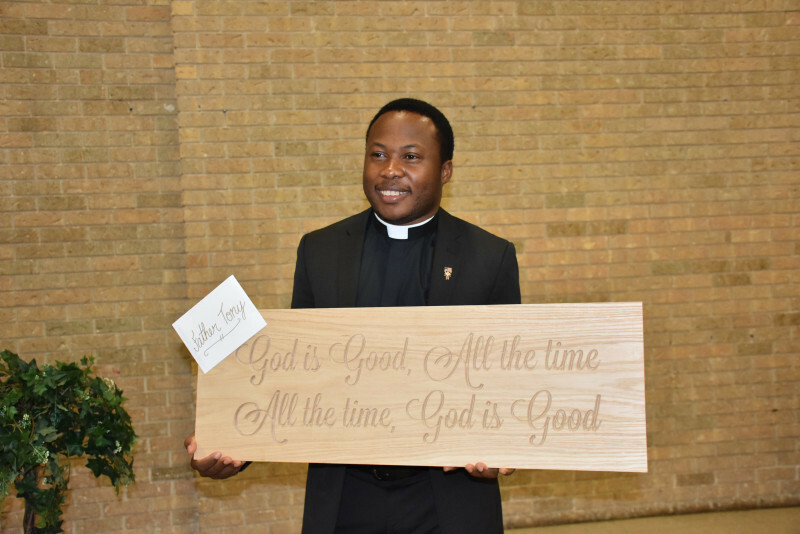 Anthony Udoh, MSP, (preferably ‘Fr. Tony’) a priest of the Missionary Society of Saint Paul. I was born and brought up in Nigeria. I am a middle child of a family of five children. I grew up in a traditional Catholic family where going to Church was almost daily thing. As a Mass Server, I admired and desired the Catholic priesthood, and very particularly the missionary life. I admired the Irish missionaries who worked in my diocese, who had become so much at home with my native culture, language and food. This admiration and desire led me eventually to join the Missionaries of St Paul. After nine years of studies and obtaining degrees in philosophy and theology, and undergoing spiritual/human formation and discernment, I was ordained a priest on July 3rd, 2010. After my ordination, I served as a Parochial Vicar at St Patrick’s Church, Karshi, Archdiocese of Abuja in Nigeria for one year. The following year I was assigned to the Formation House Seminary of the Missionary Society of St. Paul to help in the formation of our future missionaries. I taught and also managed the finances of the Formation House for three and a half years. In 2015 I was assigned to the United States of American mission. I served as the Parochial Vicar of St. Mary Magdalene, Humble Texas from October 2015 to July 2018. It was such an awesome missionary experience with the warm and welcoming people of Humble Texas. At St Mary Magdalene I had an experience of a true ‘united nation’ community; it was a perfect blend of the human race from all races and colors. I was involved with the Hispanic community for the first time, celebrating the sacraments and learning the language. I hope to keep learning and improving on my communication skills in Spanish (with your help). I am passionate about seeing the young people involved in the Church. I started the Young Adult Ministry “IMPACT” at St Mary Magdalene. By the grace, it is flourishing. I am very excited to begin this new chapter of my missionary endeavor in the Diocese of Las Vegas. I look forward to an amazing experience with you, the good people of Holy Family Catholic Church. I love to share my faith and flavor of life with others. I love to watch soccer and basketball; a fan of the Chelsea Football Club and the Houston Rockets Basketball Team. I play some tennis to stay fit.